Water Damage What to do ? 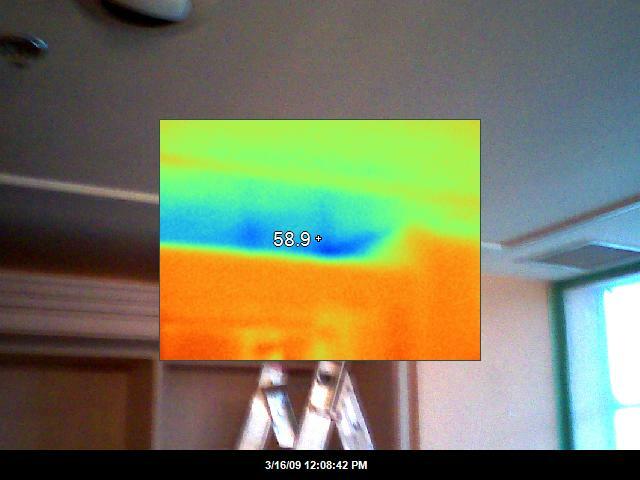 How do thermal image inspections save you money? Simple, a thermal imaging camera can be used to find leaks more effeciantly by reducing the amount of tear out and trial and error time necessary to locate and repair leaks. 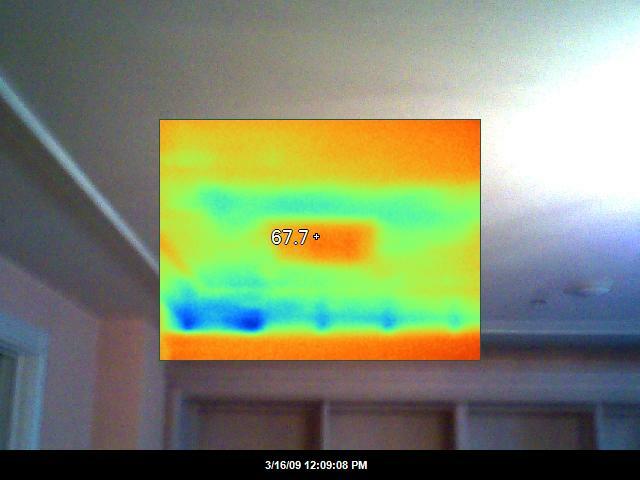 How does thermal imaging work on water damage? 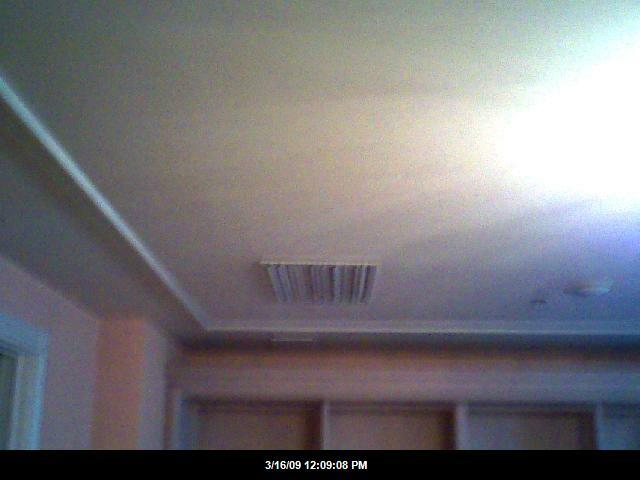 The thermal imaging camera measures the heat energey coming from objects at the surface. Wet areas are usually cooler than surrounding areas, showing up on the camera as cooler. (Click on image to right to enlarge image) There are many reasons why there are cooler and warmer areas on the image display. With our experience and confirmation with moisture meters we can efficiently interpret images, mapping out a moisture trail. Water leaked from a suite above in this commercial building around the heat vent. This was simply the exit point for the water but not the source area pictured above. In the pictures below we were able to find the extent of the wet area to develop a drying/ repair plan. As it turned out, none of this ceiling required removal. We were able to dry out ceiling wiith ducting attached to an airmover venting through a recessed light opening. 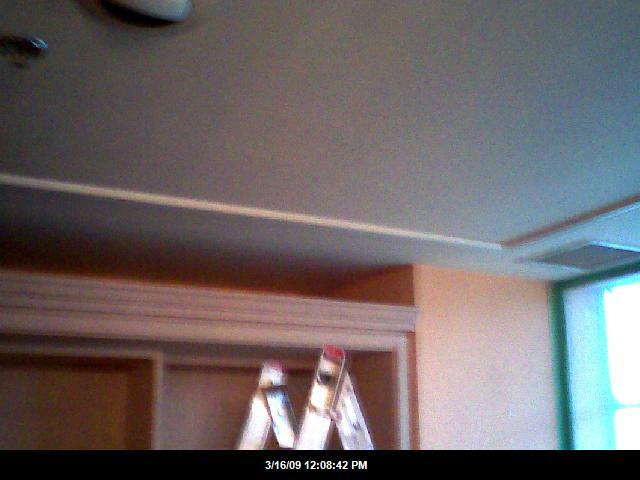 No drywall repairs or painting were required on this part of the job. Copyright 2012 AA Restoration Company. All rights reserved.